What’s so great about porcelain veneers from OKC Smiles? Take a look at these images. A dental veneer consists of biomaterials that can revolutionize your smile without invasive treatments. Embarrassing gaps and cracked, weakened, and discolored teeth are a thing of the past. You’ve got OKC Smiles’ extremely dramatic cosmetic dentistry makeover solution of ultra-thin porcelain veneers. These natural-looking teeth replacements return structural integrity to your teeth and a smile to your face! Because of the custom fit and the slightly translucent finish of porcelain veneers, no one will believe you’re wearing them–and neither will you, until you see what a gorgeous, perfect smile you now get to show off! Porcelain veneers are a simple concept, but it takes the skilled hands of a top-quality cosmetic dentist to make them look and feel wonderfully natural. A porcelain veneer is a thin, porcelain overlay that is placed over the tooth—like a cap. The dental veneer itself is masterfully crafted to resemble the shape, texture and natural shine and pearl-type sheen and dimension that a beautiful and healthy natural tooth has. These veneers are permanently affixed to the tooth that is treated, so you can chew, laugh and live like you normally would. 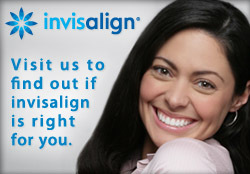 Except now you will have a gorgeous new smile to boost your confidence and self-esteem. Yes, you really can have that smile you always wished you could have. And yes, it’s more affordable than you might think. Porcelain veneers are sometimes called ‘instant orthodontics’ because they can straighten some misaligned teeth faster than clear braces. Don’t put off attaining an appearance that will enrich your life and life’s experiences any longer. Learn more about Oklahoma City porcelain veneers by contacting OKC Smiles at (405) 543-2690 or via the online form for a dental veneer consultation.